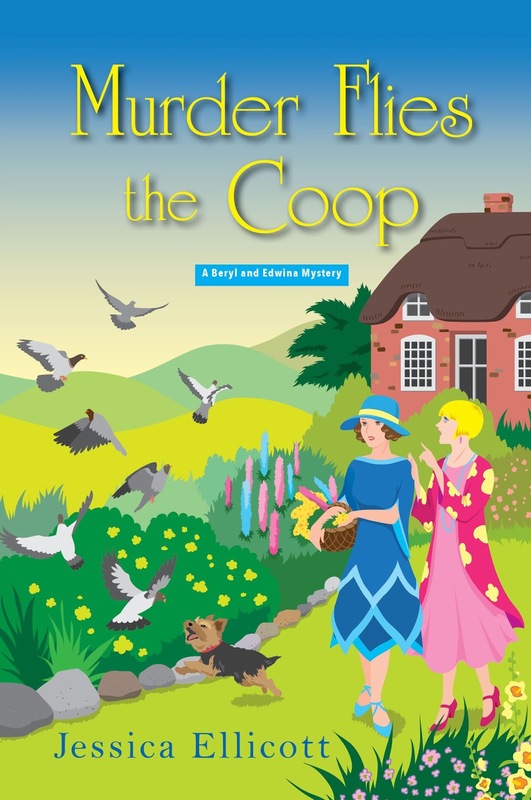 Mystery author Jessica Ellicott joins me today to chat about her new historical novel, Murder Flies the Coop. 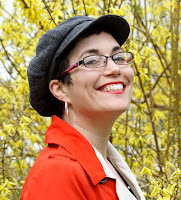 Jessica Ellicott is the author of the Beryl and Edwina Mysteries. She loves fountain pens, Mini Coopers and throwing parties. She lives in New England where she obsessively knits wool socks and enthusiastically speaks Portuguese with a shocking disregard for the rules of grammar. 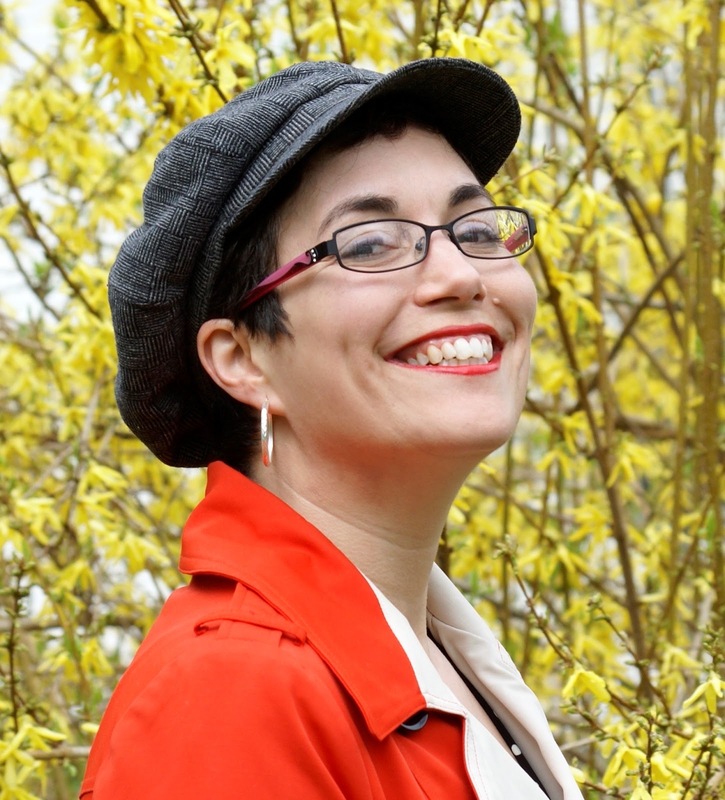 As Jessie Crockett she is the author of the Granite State Mysteries and the Sugar Grove Mysteries. She wrote the Change of Fortune Mysteries as Jessica Estevao. Welcome, Jessica. Please tell us about your current release. One would hardly call them birds of a feather, but thrill-seeking American adventuress Beryl Helliwell and quietly reserved Brit Edwina Davenport do one thing very well together—solve murders . . . Sharing lodging in the sleepy English village of Walmsley Parva has eased some of the financial strain on the two old school chums, but money is still tight in these lean years following the Great War. All of Beryl's ex-husbands have proven reluctant to part with her alimony, which is most inconvenient. So when the local vicar—and pigeon-racing club president—approaches them with a private inquiry opportunity, the ladies eagerly accept. There's been a spot of bother: the treasurer has absconded with the club's funds and several prized birds. Beryl and Edwina hope to flush out the missing man by checking his boardinghouse and place of employment at the coal mine. But when they visit the man's loft, they find their elusive quarry lying in white feathers and a pool of crimson blood, stabbed to death—the only witnesses cooing mournfully. After a stiff gin fizz, the ladies resume their search for the missing funds and prized birds—and now a murderer. Beryl and Edwina aren't shy about ruffling a few feathers as they home in on their suspects. But they had better find the killer fast, before their sleuthing career is cut short . . . I start each of my historical mysteries by researching current events of the day. I happened upon an article concerning pigeon racing and the idea for this story began to take shape. The social and economic factors of the sport provided a lot of inspiration for a mystery. One of the best parts of the job is unearthing fascinating nuggets of information and finding ways to stitch them together into a novel. Beryl Helliwell watched as her friend Edwina Davenport capped her fountain pen and laid it on the desk in front of her. The morning post had yielded several pointed and chiding reminders from local merchants of accounts past due as well as a vexing dearth of alimony checks. Clearly the results of Edwina’s calculations could not be considered good news. “One can never be careful enough to make not enough go as far as one needs,” Edwina said. “Just last Sunday your dreary vicar was nattering on about some story or other from the Good Book about miracles and unending supplies of bread and fish or some such a thing. Can’t you make the same thing work with the bookkeeping?” Beryl asked. Beryl noticed her friend looked shocked at the suggestion. But then, Edwina was easily shocked. I am currently developing the plotline for the fourth book in the Beryl and Edwina series. I think it was in the second grade when my class was given an assignment to write a story prompted by an advertisement featuring the Marlboro Man. I made him a bandit and have thought of myself as someone who writes crime stories ever since. I do write full-time. Generally, I devote mornings to writing or revising and afternoons to the business side of the job like blog posts, answering emails and setting up events. I try not to eat lunch at my desk but most days fail miserably! I finish up by early afternoon and spend evenings with my family and friends. I think it might be that I start all books by writing and then answering questions in a notebook. I prefer using A5 Rhodia notebooks and a favorite fountain pen. There is something about writing slowly by hand that feels to me like all things are possible, at least in the fictional world. The only thing I ever really wanted to be was a writer. I feel like one of the luckiest people I know! 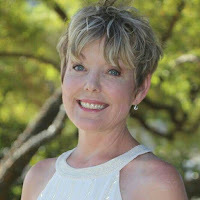 I love to connect with readers through my group blog The Wickeds and also via my newsletter. Author Michelle Peach joins me today. We’re chatting about her new political thriller, Gazelle in the Shadows. Welcome, Michelle. Please tell us a little bit about yourself. I graduated from Durham University in 1995 with a B.A. in Arabic with Middle Eastern and Islamic Studies. In 1992, I spent my second year of college studying abroad at the Arabic Teaching Institute for Foreigners in Damascus, Syria and as a freelance journalist and researcher in Lebanon. I have worked for many years overseas in the British Foreign Office and as an executive PA for a Dubai company. I met my future husband while working in Dubai and soon after moved to America. I’m a stay-at-home mom, married with three children and love volunteering for school activities and animal rescue. In between time, I love to write. In the mid 90s, Elizabeth Booth is a young British college student studying Arabic at Durham University. With some travel and work already under her belt, she excels at her studies and is sent to Damascus to immerse herself in the language. Taken aback by the generosity and kindness of the people there, she easily slips into a life in the ancient city. She has friends, her studies, and even a handsome boyfriend. But things aren't always what they seem. Soon, in a world where mistrust and disloyalty are commonplace, Elizabeth finds herself navigating a web of lies, betrayals, and even murder involving MI6, deadly terrorist factions, and the shadowy Syrian secret police. I had procrastinated about writing the book for many years but the catalyst came when my children started to ask me what I had done before marrying their father and I felt a need to tell my story for them in addition to the urging of many friends. Male visitors daily 10a.m. to 1p.m. Female visitors daily 2p.m.to 4p.m. “It’s too late for me to go in,” Hussein said, looking pointedly at me. “It’s 2 o’clock already,” I said, looking at my watch. “It’s safer for you to go in, anyway,” Hussein said, eyeing the prison. “Yes. Of course, I do.” Something inside me was telling me not to agree to it, but I wanted to make sure Naguib was safe. My brow furrowed. Hussein saw the doubt in me. I took my scarf off. I had become accustomed to it, and it was surprising how vulnerable I felt, once I took it off. The gravity of the situation unnerved me. In the building, I joined some other women who were waiting for the visit to begin. They were complaining to the guard that they were late opening the gate. We were instructed to hand over contraband: food, drink, cigarettes and cameras. Then we were ushered through a gate past armed guards. To my surprise, the guards did not ask any of the women, including myself, who they were visiting. I had my story ready, that I was an embassy consular assistant evaluating the prison conditions. I thought at the very least I would have to sign in or show my passport, but I moved through the security gate along with the small crowd. I could see the prison yard when we stepped outside. We were told to stand in a designated area, behind a high fence. It looked out across a concrete yard, surrounded by an additional, high-wire fence probably about 12 feet high and topped with razor wire. Between the two fences there was a buffer area 6 feet wide for guards to patrol the circumference of the yard, and on each corner, towers were manned by more security. I broke out in a sweat. The inmates began to emerge from the building into the yard. Within a couple of minutes, the yard was brimming with men. They wore different-coloured jumpsuits: purple, blue and red. I wondered what the significance was. “Why do all the colours mean?” I asked one of the women in Arabic. “What about red?” I asked. I looked around the prisoners, the majority of which were young men, and sadly saw quite a number in red. Tears pricked my eyes. I felt as if I was staring at animals in a zoo. I couldn’t take my eyes off them. Some were barefoot—their feet black with dirt, while others had plastic shoes or sandals. Their uniforms were ill-fitting and dishevelled. The hardest thing to acclimatise to was their shaven heads. Some prisoners gathered close to their fence and wrapped their fingers around the wire. Others were aimlessly sauntering around the periphery of the yard, alone or in groups. All the conversations between the women and the inmates were shouted across the patrol path. The men were shouting, non-stop, jeering and begging for contraband. “Give us cigarettes,” they shouted. I scanned the faces of the hundred or so men. “Who are you looking for?” asked a toothless woman in a black abaya. “Naguib.” I only knew his first name. “Any of you donkeys know Naguib?” the woman yelled. There was a chorus of voices as the question rippled through the men, but no one recognised his name. I wasn’t about to give her anything as I was afraid of being caught. After twenty minutes, the guards came and opened the exit gate for us to leave. I walked out to meet Hussein by the car. I will be starting my sequel to Gazelle in the Shadows soon. The story will be set in Dubai, United Arab Emirates. Briefly, Elizabeth, a newly recruited MI6 agent, will be working as an executive PA for a British CEO of a Dubai shipping company which MI6 are tracking because of its dealings with Iran. Familiar adversaries from “Gazelle in the Shadows” stand in her way to finding the truth, threatening her life and the lives of many others. I never thought about it when I was young although I enjoyed writing short stories and kept a diary for many years. My mother was the first to recognize that I was a good writer even before I believed it myself. She still cherishes the long letters I wrote during my many trips overseas. 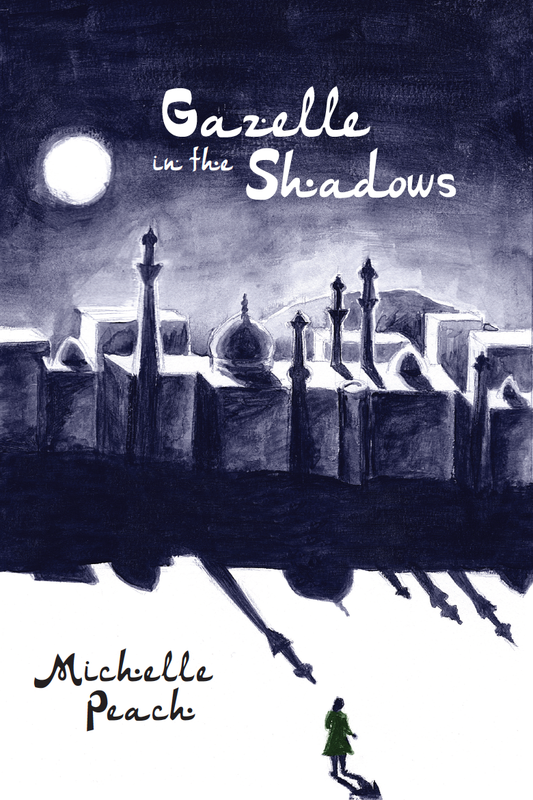 Gazelle in the Shadows is my first novel and one of my biggest challenges. It’s not easy to become a writer but probably now that I have written it, I feel comfortable calling myself one. I don’t write full time as I am a stay-at-home mom with three children, one on the Autistic Spectrum. They keep me busy. I am an animal lover and as such I enjoy volunteering for animal rescue and worked until recently as a dog walker and pet sitter. I like to write mostly in the evening and even into the night as I have always been a night owl and enjoy the stillness of the house. I think it’s quirky and perhaps old fashioned but I preferred to edit my manuscript in pencil. I found it hard to edit on the computer even though I wrote it on the keyboard. That’s simple. I wanted to be a vet because I have loved animals from my earliest memories. Failing that, I wanted to work for a large charitable organization like Oxfam or CAFOD preferably stationed abroad in a third world country. I hope the reader will enjoy learning about some of the culture, history and beauty of Syria in my story which, in many ways, has irrevocably changed due to the ongoing war. I find myself often thinking about the places I visited, saddened by the fact that much has been destroyed and about the kind people I met and whether they and their families are still alive. My deepest wish is that somehow Syria will one day miraculously return to be a country travelers can visit and be enthralled by the centuries of history and ancient cultures within its boundaries.